Amtrak Guest Rewards members can earn more points toward free travel and other rewards with the "Double Days" promotion, which pays double points on qualifying Amtrak travel now through May 17. To take advantage of the promotion, Amtrak Guest Rewards members must register online. To receive credit for all qualifying travel, Amtrak Guest Rewards members need to provide their membership number when making a reservation. Double points earning is limited to two one-way trips per day. Other restrictions apply. Members earn two points for every dollar spent on Amtrak travel, with a 100-point minimum, no matter the price. Members also have more than a thousand ways to earn additional points from transactions with our program partners and shopping in our online mall, Points for Shopping. Free Amtrak travel starts at 1,500 points. ACP Rail International is hoping to draw some attention to its new BritRail Scottish Highlands Pass and its hoping some of its new special offers that include discounts at more than 100 attractions in Britain will help them do it. The Bonus Offers are spread throughout the U.K. in England, Scotland and/or Wales. The offers range from 2-for-1 discounts, to 20 percent off, and more on attractions, activities, accommodations, restaurants, tours, transportation and shopping. In most cases, BritRail customers receive the discount on location, upon presentation of a valid BritRail Pass or ticket. In Scotland, for instance, BritRail customers can visit the Glasgow Science Centre, The Royal Yacht Britannia and Loch Lomond Sea Life Aquarium, all for a discount. In England, there are savings available on the Manchester United Football Club Museum & Tours, Clarks Village Outlet Shopping and Thames Clippers in London, to name a few. While in Wales, visitors can benefit from discounted entry to Cardiff Castle, National Botanic Garden of Wales and King Arthur's Labyrinth. Not to mention numerous other offers at castles, B&B’s, heritage railways, tours and more. It just got a little easier to book rail in Italy and Germany thanks to the new e-ticketing capabilities Rail Europe has established. Now travelers can get tickets while they’re on the move and Rail Europe is also expanding ticket fares and schedules on the two railways, providing travelers with more options to explore two of Europe’s most popular countries. To celebrate and draw attention to these new features Rail Europe is also offering deals on Italian activity packages and German first class rail tickets. 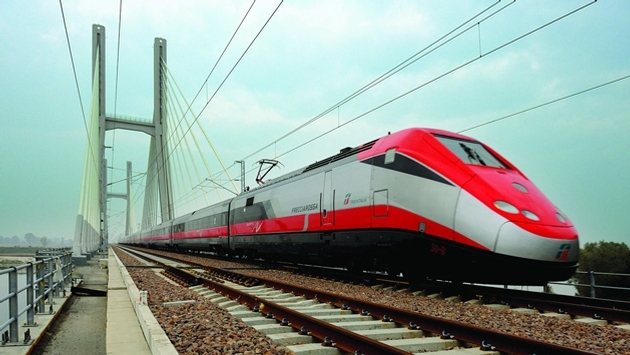 Passengers who purchase any domestic Trenitalia train ticket from Rail Europe will get 25 percent off such Italian activities as sightseeing tours, Venetian gondola rides, museum experiences and more. To get the discount tickets must be purchased by April 10 and they must use the coupon SEEITALY at checkout. In Germany travelers can receive 20 percent off of first class domestic German train tickets on Deutsche Bahn if they book it by April 17 using the coupon MOREGERMANY at checkout. The prices begin at $48 for first class German train tickets, with price subjective to change.